In my last desk diary I wrote about a some of the things that have rekindled my creativity recently. One such thing was BJDs, which stands for ball-jointed dolls. These are a class of doll mostly made in Asia and greatly range in style and size and are typically made to order or sold as limited editions. Many collect BJDs because they can be completely customized and they like to take and share photos of them. Some BJDs can truly be considered works of art. Some also buy them for companionship or for many other reasons. There is a huge worldwide community built around this hobby. To me some are amazingly beautiful and I love that they can be customized—from simple things like the hair and eyes, to more complex changes like the painted face. It is like an inspiring canvas for creating your own character or just a way to express yourself with fashion and/or taking photos. I love creating characters all the time on paper or just in my head. 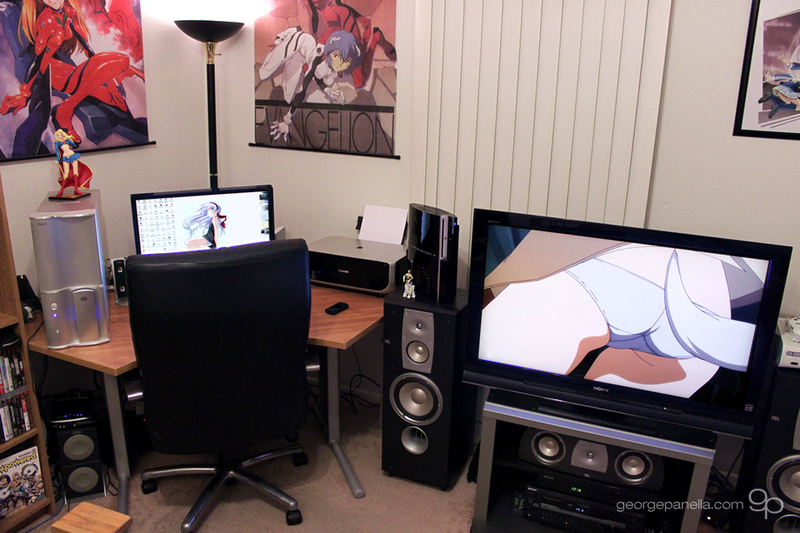 The idea of having a beautiful -physical- character that I can customize and that can sit next to me on my desk is rather inspiring. It was a big decision as they are fairly expensive and there are literally dozens to choose from from many different companies. Besides price and style, the doll size is another thing to consider. There are mainly two “standard” sizes, SD and MSD. They stand for Super Dollfie and Mini Super Dollfie, which are actually two brands of dolls from Volks—the company that pretty much put modern BJDs on the map. SD is about two feet tall and MSD is maybe a foot and a half, so these are big dolls. BJDs are generally made out of several separate hard resin plastic parts—like the head, torso, etcetera—that are stung together with thick elastic string. The ball-joints between the parts along with the elastic string allow them to move and be posed. Some can even stand on their own. There are other BJD type dolls made of other materials. Most notable are the Dollfie Dream dolls, which are also produced by Volks. They look like anime/manga characters and come in the two standard sizes as well, but they are made with soft vinyl parts and a plastic poseable skeleton. As for the one I ordered, it took weeks of searching through BJD sites and photos to decide. I agonized over which one to get. Eventually, the Dream of Doll – Dream of Teen E-an seemed to be exactly what I wanted. She is an SD sized BJD made of resin plastic. She is also one of the more expensive ones. So it took me a little longer to save up. However, I ordered her today and I’m rather excited! 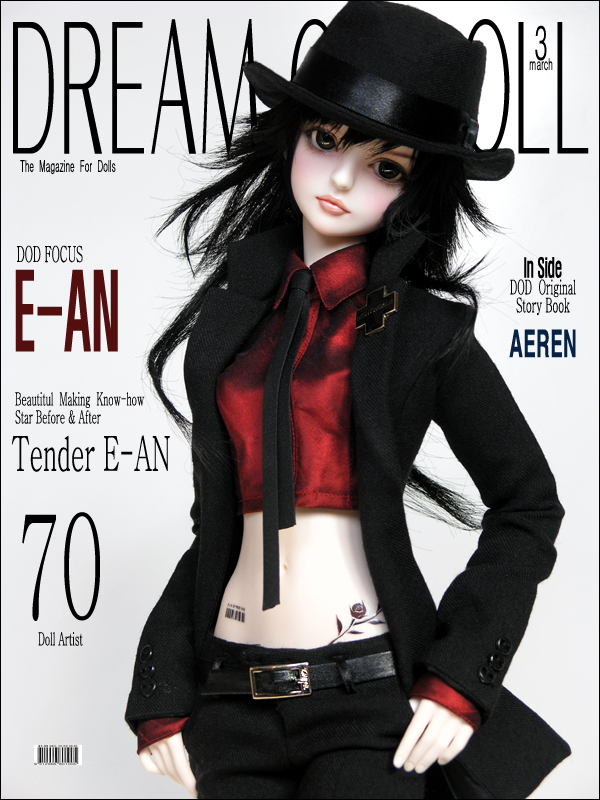 Dream of Doll is a Korean doll company. Their dolls have a great style and design to them. While I’m excited to get her I must say I’m pretty nervous about it as well. It’s the first time I’ve ordered something this big and expensive overseas and when she does get here I don’t know exactly what to expect. Also, as I said above, this is a made to order doll, so I have to wait several weeks for her to be shipped. It will be a long wait. I’ll be sure to post photos when she arrives. In the meantime, I need to save up again so I can order some hair, eyes and clothes! © 2017 George Panella All rights reserved.